Our Green Smoke starter kit review puts their e-cig in the same category as other top notch pre-filled e-cigs like our V2 cigs review and Eversmoke review. Green Smoke produces thick vapor clouds and has a great throat hit. – Prefer the ease of pre-filled cartomizers over the more technical e cigs that require you to fill them with e-juice. 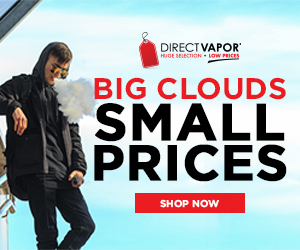 – Want high quality e cigs from a company with great customer service and an outstanding warranty. – Like what you see in our V2 cigs review, but want a thicker vapor cloud and a more intense throat hit. Green Smoke Promo Code: 10% Off! Click the coupon below to reveal the Green Smoke promo code. The Green Smoke site will open up in a new window. Simply paste the Green Smoke promo code into the box at checkout for 10% off all Green Smoke orders over $100, and 5% off all orders under $100. This section should be titled Green Smoke vs V2 Cigs. There are many similarities between these two e-cig brands. Green Smoke has slightly thicker vapor clouds and a more intense throat hit on the tobacco flavors. We really liked how little effort it required to draw in a healthy amount of vapor. Green Smoke loses a point in this category because the vapor is not as good as more advanced e cigs like the Vapor Zeus or Halo. 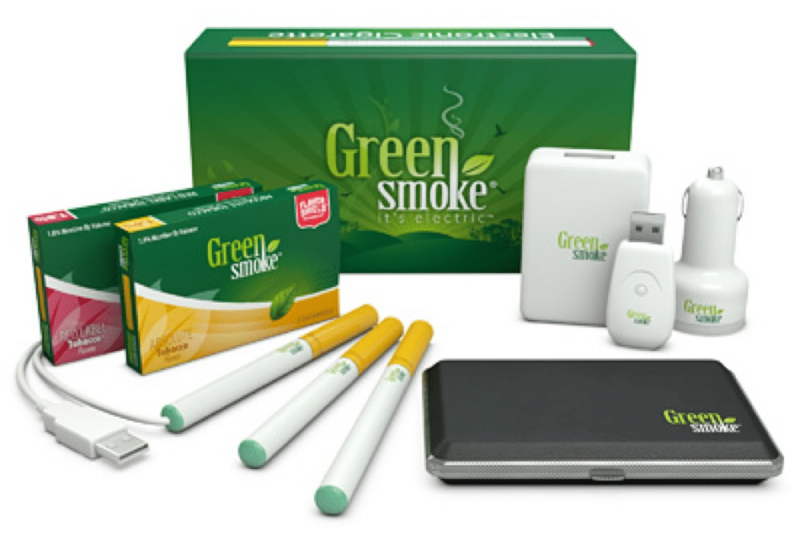 But for pre-filled e cigs, we highly recommend the Green Smoke starter kit. Our Green Smoke starter kit review covers the Pro Kit. Green Smoke uses a two-part design for their e cigs. It’s real simple to start vaping, just screw your cartomizer flavor of choice onto the battery of choice and you’re all set. You get two batteries in the Pro Kit – one short, one long. Both are high quality, have a good weight and produce consistently great vapor. Both batteries are automatic, and as someone who usually vapes a manual, I gotta say these autos work really well. It feels very similar to taking a draw on a regular cigarette. The only difference here is you need to take a couple short puffs before taking a long one for the optimal vapor draw. Green Smoke designs their e cigs to look similar to real cigarettes. The Green Smoke hardware is of the same high quality you’ll find in our V2 Cigs review (and sister brand Vapor Couture) and in our Eversmoke review. Our Green Smoke top pen starter kit came with 2 packs of 5 flavor cartridges. We added a third flavor for a more thorough review. Overall, the Green Smoke flavors are bold, produce great vapor and pretty intense throat hits. What about Green Smoke vs V2 Cigs? In general, Green Smoke is more intense, with stronger flavors and throat hits and more vapor. V2 flavors are more smooth with less intense throat hits and a bit better tasting. Green Smoke loses points in this category because more advanced e cigs brands like Vapor4Life, Halo and WetFlame offer better flavors and a wider variety. – Tobacco Gold (18mg) – My favorite Green Smoke flavor. This is a great vape, produces a ton of vapor, has a full, bold taste. It reminds me of Turkish Gold cigarettes. The aftertaste is great. If you’re looking for a real cigarette taste and experience, you’ll love this. – Absolute Tobacco (18mg) – Very similar to Tobacco Gold, I didn’t like the aftertaste as much. It has a lighter flavor than the Gold and is more similar to light cigarettes. It’s also a great vape. – Menthol Ice (18mg) – A very intense menthol experience. This one is icy cold with that great minty menthol taste. Highly recommend this for menthol smokers. – 30 day money back guarantee on all starter kits. – Lifetime warranty on all batteries. Check out more of our expert reviews! If you’re looking for e-cigs specifically for women, check out our Vapor Couture review.